The Japan Foundation, Toronto is located on the third floor of the Hudson’s Bay Centre at the corner of Yonge and Bloor (above the RBC). The third floor can be accessed from the north elevator bank of the Hudson’s Bay Centre office tower. The Bloor Street entrance to the Hudson’s Bay Centre is available during Japan Foundation opening hours every day of the week. This entrance has an elevator at street level with access to the lobby. 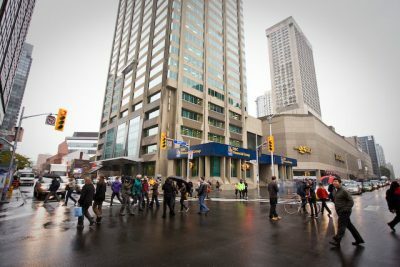 The Yonge Street entrance is locked at 6:00 pm during the week and 24 hours on weekends and holidays. 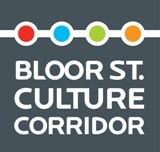 For Saturday openings and evening access, please use the Bloor Street entrance. Please click here for a picture guide to finding our office (from TTC Bloor-Yonge Station). If you have any questions or concerns, please call our office at 416-966-1600 before your visit.